The Man Sweets Cup from Farrahs contains a retro selection of nostalgic candy including lemon refreshers, UFO's, fried eggs, bubbly bubble gum, marshmallows and other delicious candy. 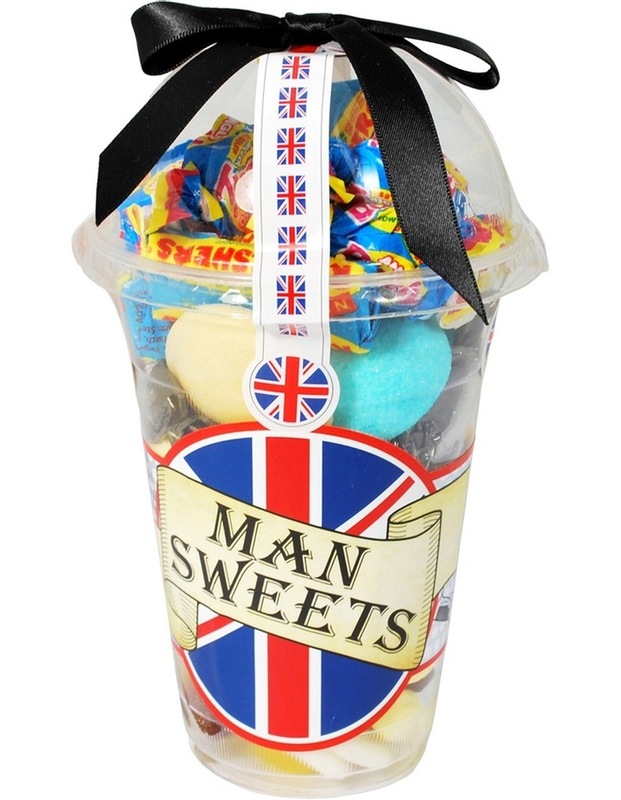 Bring back childhood memories or gift the man sweets candy cup to a new generation of lolly enthusiasts. ALLERGY ADVICE: Contains MILK and SOYA. May contain NUTS.